I’ve been heavy into easy cooking lately. Now that we are back on the water I have absolutely no interest in complicated. Some grilled meat or fish and a fresh salad is about as complex as it gets. 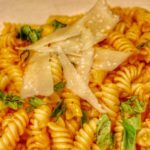 I came across this next recipe and it is just the best idea I’ve seen in a long while. Made soley with tomatoes and butter and the best part…no cooking. The coolest part is I can make up a batch, pack it into a little mason jar and bring it onboard for a quick delicious pasta supper. 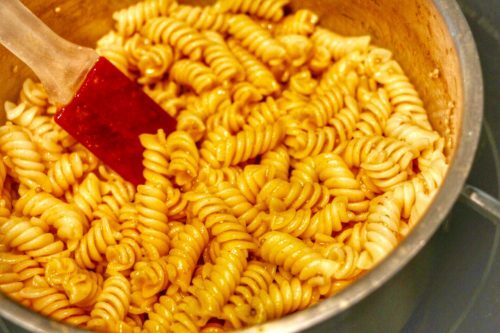 The pasta can also be cooked ahead and the whole thing warmed and tossed together with so little effort. Saucy, tasty, buttery. Just look at the pretty tomatoey colour. I even reserved the tomato pulp to add to the pasta cooking water. Zero waste in this galley! Serve it as is, or add whatever seasonings you wish. 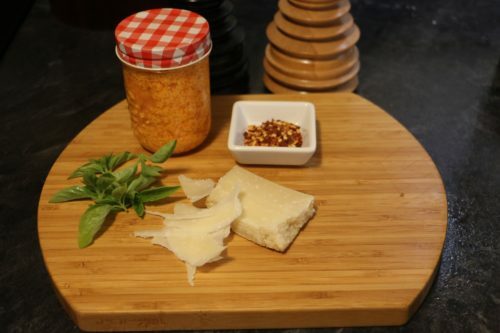 Tonight it was a shake or three of dried chilis, some fresh basil from our garden and a few shavings of parmesan cheese. That’s it! The sauce came together while the pasta cooked. You don’t need more than ten minutes prep time. Another night I chose chopped cooked chicken for added protein and stirred in a couple of spoons of Boursin cheese and chopped fresh tarragon and parsley. 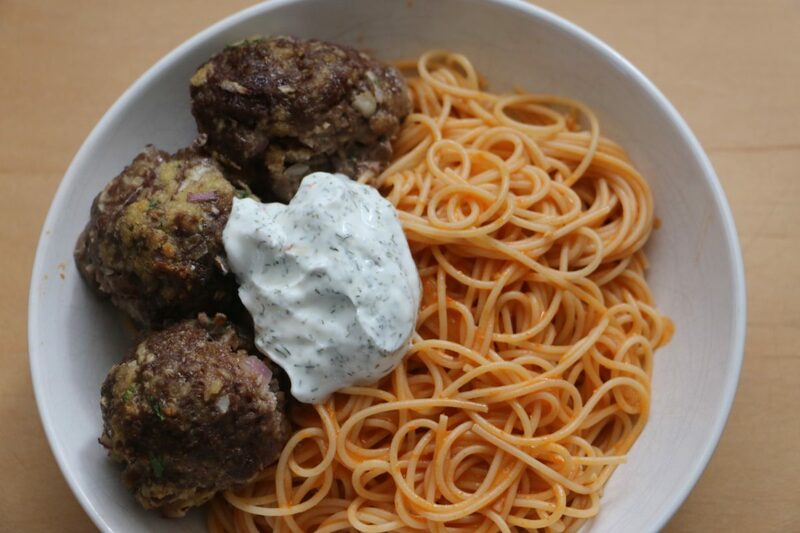 Or would you prefer Greek-style feta stuffed meatballs perched on top of a bed of buttery tomatoey noodles? Sooo many options here. Can’t you just see this as a part of your next camping, boating or RV’ing excursion? All that elegance in one little jar. Supper doesn’t get any easier or quicker than this! 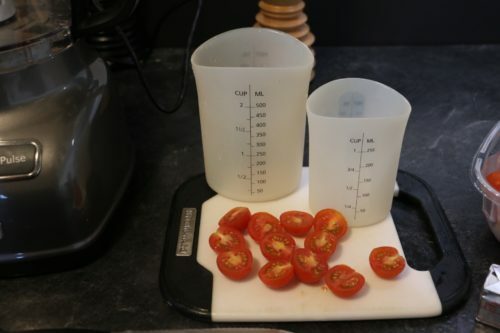 Cut each tomato in half and with your finger scoop out seeds and juicy pulp so your sauce won’t be too liquidy, reserving for your pasta water. Add butter and salt and continue to process until mixture is smooth and well combined. In a saucepan boil enough well salted water to cook your pasta adding the tomato pulp for extra flavouring. Once cooked, drain the pasta and stir in a few spoons full of tomato mixture. 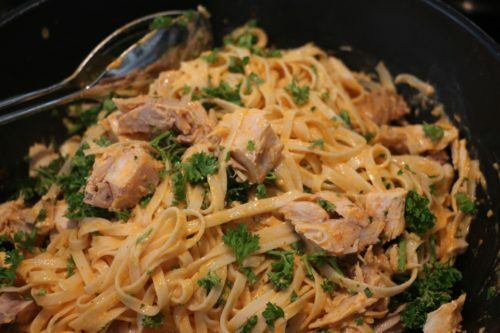 Serve with additional seasonings, fresh chopped herbs, chopped chicken, parmesan shavings if you wish or just plain naked pasta and sauce.